Acharya Mahapragya revived a very old tradition of enabling the understanding of the holy literature by writing a Sanskrit Commentary (Bhashya) on Acharang Sutra, which is one the oldest and most incomprehensible Jain Scripture.Prime Minister Atal Bihari Vajpayee has often said in mass meetings “I am a lover of Mahapragya’s literature”. He has been given the name addressed as “Walking Encyclopedia of Religion and Philosophy”, for his contribution to the field of literature.The Eminent Scholar of Philosophy, Dr. Daya Krishna has recognized Acharya Shri Mahapragya as the most knowledgeable person on the subject of Jain Logic. 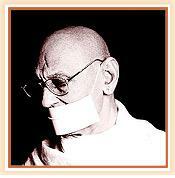 Acharya Mahapragya is known for his a enlightening discourses. In 1975, he was specially invited to deliver a series of nine lectures on Jain Logic at the University of Rajasthan at Jaipur. The University published these lectures in the form of a book entitled ‘Jain Nyay Ka Vikas’. His books on the subjects mainly include ‘Jain Darshan-Mannan aur Mimansa’, ‘Jain Dharma Aur Sanskriti’, ‘Jain Darshan and Anekantvad’, ‘Jain Dharma aur Darshan’, and many more. His books have a very unique combination of simplicity in expression and originality. The famous Bangla writer Shri Bimal Mitra used to say, “I find new truth in Mahapragya’s work. When I read his books, I feel as if I write for the masses and he writes for me. If only I could have met him in the initial stages of my career, my literature would have had a new path to follow”. Acharya Mahapragya’s brain-storming penmanship has attracted countless readers and intellectuals throughout the length and breadth of the whole Earth. Admirers of his writings range from the common man to Literary Personalities, Psychologists, Sociologists, Journalists and Political Leaders. His deliberations and preaching’s are affective, relevant and practical that they attract not only the scholars but also the masses. These lectures are now being transmitted through media on television and also made available to the public through audio and video cassettes and books.